Chomping at the bit to bid on the first house Donald Trump lived in? You'll have to wait. The sellers postponed the auction hours before its scheduled start on Wednesday. A new auction date has not been set. The current owners, who are in the restaurant business, are selling the home because they are getting divorced. The company running the auction, Paramount Realty USA, said the sellers wanted to give possible bidders "more time to evaluate the property." Trump's campaign has denied recent reports that the increasing turmoil surrounding his election bid is turning people off on his brand. 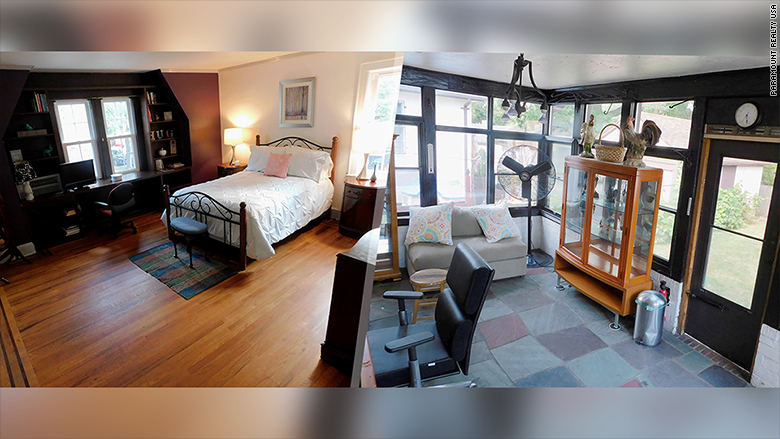 Auctions aren't the typical way to sell a private home. Misha Haghani, owner at Paramount Realty USA, told CNNMoney last week that auctions are a "great way to sell ... things that have a unique or sentimental value. A value beyond the physical." 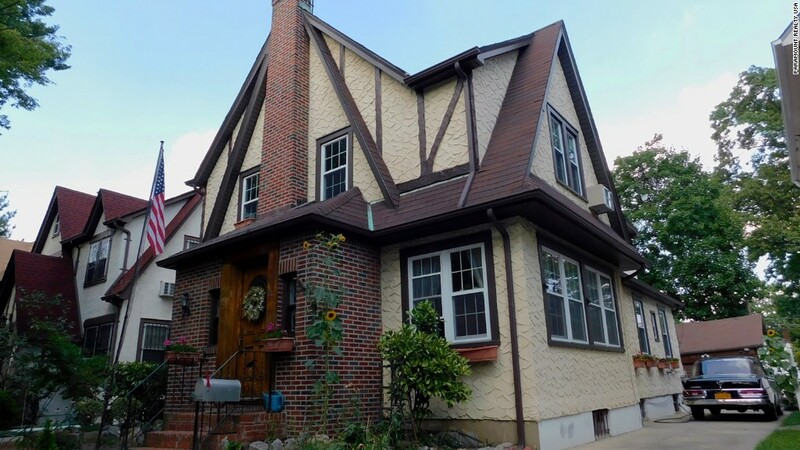 The brick and stucco Tudor house is located in Queens in New York City. It was set to have a suggested opening bid of $849,000 -- which could be considered a bargain. It was listed earlier this summer for as much as $1.65 million. The home is located in Jamaica Estates, a wealthy neighborhood in the New York City borough. A similar-sized home that sits around the corner is currently on the market for $3.5 million. The Republican presidential nominee lived in the home during the earliest years of his childhood. The home has hardwood floors and five bedrooms. "That is where I was born," Trump told Jimmy Fallon on "The Tonight Show" recently. Fallon showed Trump a photo of the home. "I had a really good childhood; oh that's sad to look at that, I want to buy it." The 2,500-square-foot home was built in 1940 and is in need of some updates. It has five bedrooms, four full baths, a formal dining room, eat-in kitchen and a finished basement. To participate in the auction, potential buyers need to purchase the property's due diligence information, which includes the home's survey, title report and a copy of Trump's birth certificate that lists the home's address. Bidders also need to bring a $90,000 bank or certified check in order to participate. 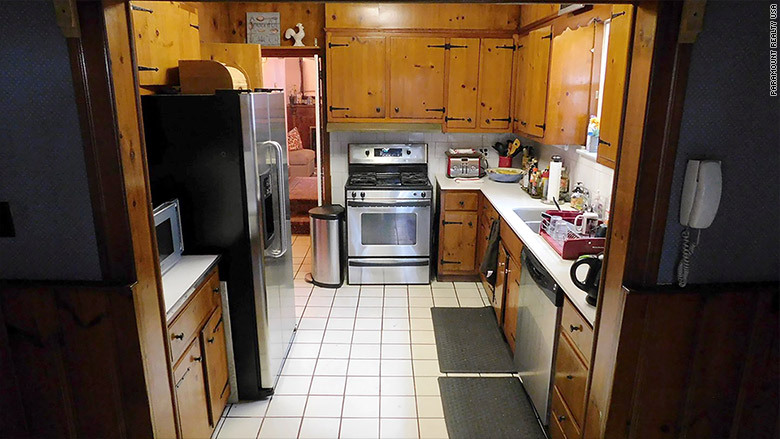 The home has both an eat-in kitchen and a summer kitchen.